Cream the butter and sugar together until light and fluffy. Combine the bananas, milk, vanilla and eggs in a separate bowl or jug, then add this to the butter and sugar. Add the flour, bran, baking powder, bicarbonate and salt and stir into the banana and egg mixture until just combined. I added a couple of handfuls of desiccated coconut to the mix as well, just because it’s nice and crunchy! Spoon into muffin cases and bake at 190C for 20-25 minutes. Makes around 20. They freeze really well and defrost quickly, so great to pop into your bag when you leave in the morning for a snack later on in the day. Bran isn’t something that I buy all that often, but I had a pack that needed using up. Adding bran to any muffin like this just adds a good dose of fibre, which your gut might thank you for. 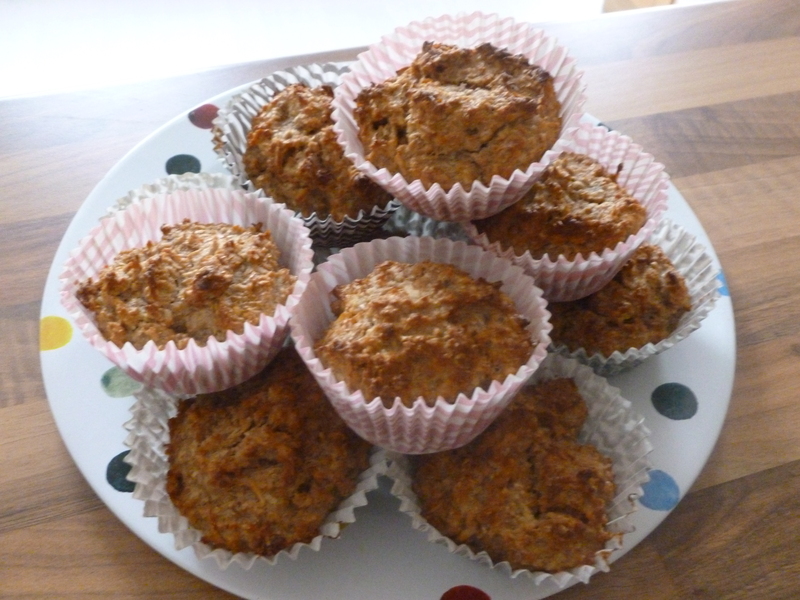 Posted in Healthy eating, Recipes and tagged banana, bran, energy, fibre, food, health, muffin, nutrition.